My Transformer is noisy, spreads interference. I was talking today with a friend of mine, who has just almost completed the construction of its first amplifier (… oh, it is probably not yet Hiend-Audio, but a good place to start). A Tube Amplifer. It is at the stage of power-up and testing. My friend starts complaining that there is an audible hum, probably originating from the transformer. “An acoustical hum”. From the speakers. Please help, I tried “everything” and I don’t know what to do.” Just to put this in perspective: the whole chasiss is ready, beautiful, gleaming and shining. All drilling work completed, all nuts and bolts screwed in place, a final finish with that fine, “elegant” touch. Simply beautiful. But it hums. Apparently, I cannot resove the issue via a telephone conversation, not looking at it, so I decided to visit him. Upon arrival, a brief ‘Hello’, and then I go directly towards the battlefield and start examining the …. carnage. Well… Now that I am looking at it, everything seems painfully obvious. It simply MUST be noisy and generate hum. It just so happens, that he has bolted down the power transformer just adjacent to the speaker transformer. A “small” distance apart, but not enougth. To make matters worse, the axis of the core of the power transformer is “in-line” and targeted directly at the core of the speaker transformer. Not only did he mount the two irons too close to each other, but moreover, the cores are looking “into each other.” Out of all the possible combinations of setups, he just happened to choose the most elegant, but at the same time, the worst one. “Dismount one of the transformers, take your drill into your hand, and start drilling a whole new set of holes. You need to rotate one of the transformers, by 90 degrees, so that they are in placed on axis that are orthogonal to each other. But at this point, I comprehend … I see this beautiful, squeaky clean, high-gloss finish chasis in front of me, all holes, nuts and bolts nicely hidden, a highly decorative sheet metal casing shining like a mirror, and I truly felt sorry for this guy. An alternative location for the transformers is not an option, as everything is packed dense, fully populated and mounted. Not a free place to spare. No alternative location possible. Such planning of the proper elements of such a layout should have taken place at the outset, at the very beginning of the project, the conceptual design phase. A rotation of the power transformer would result in the need of drilling new holes, and this, considering the high gloss finish, is not really an option, as it would result in the destruction of the nice “looks” of the chasis. Options are shrinking. I’m thinking. The guy is standing beside me and stepping nervously from one foot to the other. There is an awkward silence. Well, not exactly silence, because the damned speakers are humming. Just to break the awkward ‘silence’, I say to my friend that it may be because of the sloppy craftsmanship of the company that produced the transformer(s). Some loosely wound coils, emerged in a changing magnetic field, so they are vibrating and it is audible. But the truth is that I myself do not believe what I am saying. I see that the transformers are made by one of the best manufactures of Europe, a guy from Olsztyn (Poland). Since there is no concern with the quality of the transformer, then maybe a grounding problem ? Not really. The ground was layed out exactly as per previous instructions and there is no glitch in that area. Sad but true, this IS a simple case of the magnetic coupling between the two cores. Here I recalled a brainstorm that took place some time ago on one of the DIY discussion forums that I visit frequently. It concerned noisy transformer cores and ways to alleviate the issue. There were ideas of “screening” the magnetic field. But, alas, no reasonable thickness of steel plate, even if produced out of a high Mu value of magnetic permeability, will not constitute a reasonable barrier to stop the noise in the form of a STRAY magnetic field, induced out of the core of a noisy transformer. That’s it ! Did I just say STRAY ? What does the word actually mean ? Undoubtedly, stray is something that should not be there. Something in the case of an ideal transformer would not even come “to be”. 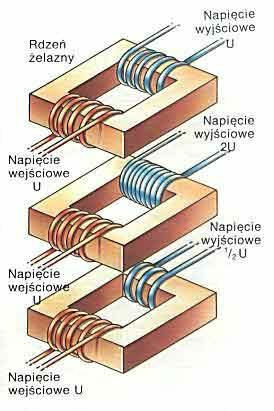 It would not exist, this stray magnetic field, because there is no such thing as “loss” within an ideal transformer. No “loss” meaning that all of the magnetic field circulates the core of the transformer, and does not cross the boundary of the core. It “stays” inside the core, and does not wander around to the surroundings. Well, so far for theory. However, we all know that “theory” and “praxis” are in “theory” the same thing, in “praxis” they are not. At this point, I feel a twitch on my spine, a feeling of a déjà-vu. Upon entering the house of my friend, …. Did I not see a portable welding machine just standing close to the patio ? obviously, he was in the process of fixing something. A portable, neat, nice little transformer welding machine. What is actually a Welder ? It is in essence a big transformer with a huge leverage, drastically reducing voltage, but at the same time drastically increasing current. A giant gear-box, so to say. The large input voltage go down to very low voltage, but the capability of generating hi currents goes into mulitiple hundreds of Ampers. Values so high, so as to melt steel. The secondary winding of such a “transformer” is no more than a few turns (a coil) executed out of a very thick copper bar. This coil, at the time when you are actually “welding” is basically short-circuited. During such a short circuit, a tremendous current flowe, and with that, a tremendous energy is excited at the welding point. Now, if you happen to short-circuit a “Normal” transformer – be sure that within one minute or two it will be destroyed. It will quickly increase in temperature, moan in agony, and it will start to burn (if not fused). Fortunately, welding transformers are designed with overkill, sort of oversized within their core and primary winding capability, sto that during the short circuit, all of the energy of the magnetic field is passed on to the shorted secondary coil, to be transformed in immense heat ( = energy) at the welding rods tip. But what does all this have to do with the unfortunate little tube amplifier that …. Hums ?